My beloved sisters, I greet you in love and respect, knowing that you are daughters of our Heavenly Father and knowing what each of you has the potential to become. In behalf of the general officers of the Church, I thank you for the service you render to the Church, to your families, and to the neighborhoods and communities in which you live. I recognize that many of your unselfish and compassionate deeds are unknown, unheralded, and at times unthanked. 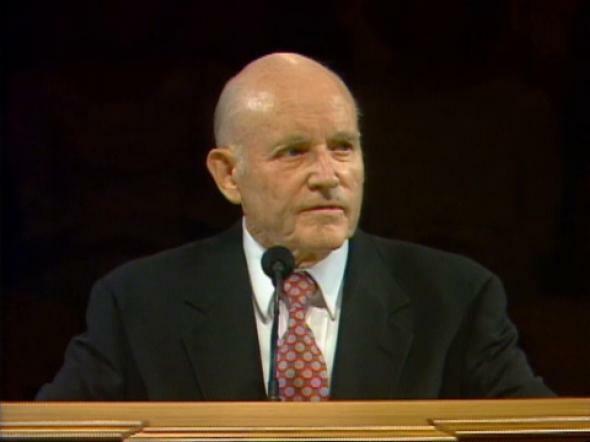 As the scriptures counsel, “Be not weary in well-doing, for ye are laying the foundation of a great work.” (D&C 64:33.) Remember the promise of the Savior that kindly deeds done in secret shall one day be openly rewarded by our Father in Heaven. (See Matt. 6:3–6, Matt. 16–18.) The Lord is not unmindful of you. We pray for your welfare. We thank God for the refining influence you have upon our world through your service, sacrifice, compassion, and striving for that which is beautiful and ennobling. There is much turmoil in the world around us. We hear many voices espousing causes and clamoring for converts to their way of thinking. 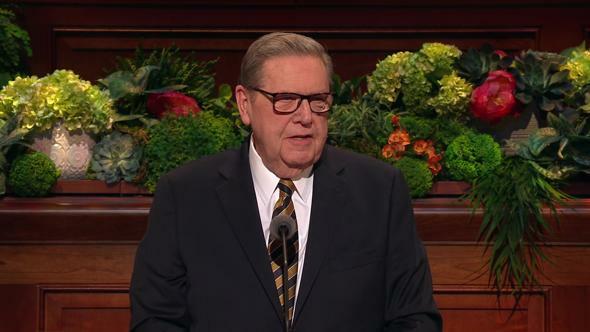 In this respect, the situation today is not unlike the turmoil described by the Prophet Joseph Smith in his day. He said some were crying, “‘Lo, here!’ and others, ‘Lo, there!’” (JS—H 1:5.) Many today struggle with the challenges of life. Given the perplexities, turmoil, and evils that are about us, it is natural for us to reach out for someone who can help. Some women long for that inspiration which can comfort the heart, bind the wounds, and give knowledge sufficient to point the way when there seems no reliable way to turn. 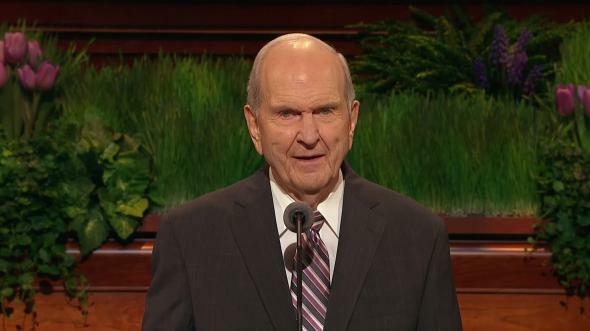 It must be comforting to you beloved sisters of his Church to remember that this same Jesus, our Savior through the Atonement, demonstrated his love and concern for the women of his time. He enjoyed the company of women and had close friends among them. One of his great parables was about ten virgins. He blessed children. He honored the poor widow who gave two mites. He taught the woman of Samaria and revealed to her that he was the Messiah. He cast out seven devils from Mary Magdalene and forgave the woman taken in adultery. He healed the daughter of the Greek woman, the one stooped and bent for eighteen years, and healed Peter’s mother of a fever. Is there any reason to think that he cares any less about women today? Before his ascension, he made this promise to his disciples: “I will pray the Father, and he shall give you another Comforter. … I will not leave you comfortless.” (John 14:16, 18.) His daughter-disciples, too, are privileged to have been given that other Comforter as well, the gift of the Holy Ghost. 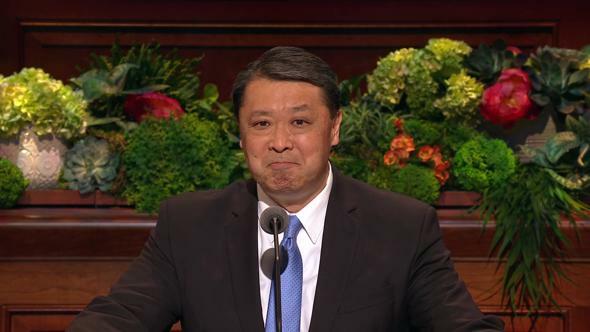 As special witnesses of our Savior, we have been given the awesome assignment to administer the affairs of his church and kingdom and to minister to his daughters and his sons wherever they are on the face of the earth. 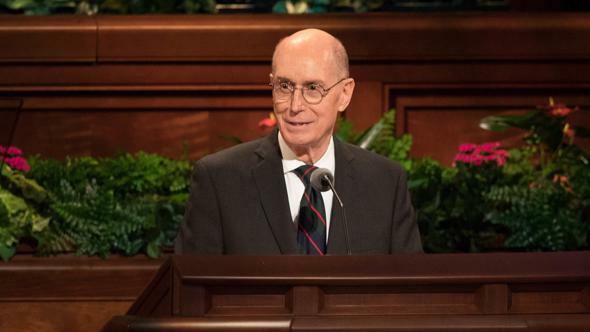 By reason of our call to testify, govern, and minister, it is required of us that despite age, infirmity, exhaustion, and feelings of inadequacy, we do the work he has given us to do, to the last breath of our lives. 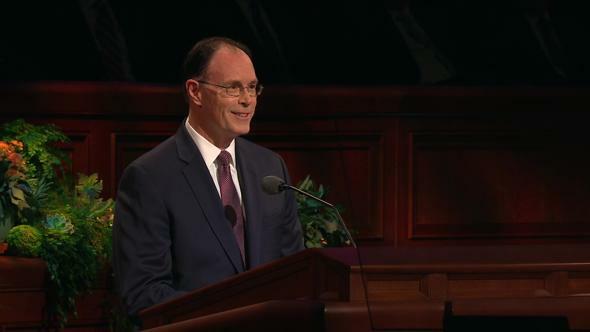 As our Lord and Savior needed the women of his time for a comforting hand, a listening ear, a believing heart, a kind look, an encouraging word, loyalty—even in his hour of humiliation, agony, and death—so we, his servants all across the Church, need you, the women of the Church, to stand with us and for us in stemming the tide of evil that threatens to engulf us. Together we must stand faithful and firm in the faith against superior numbers of other-minded people. 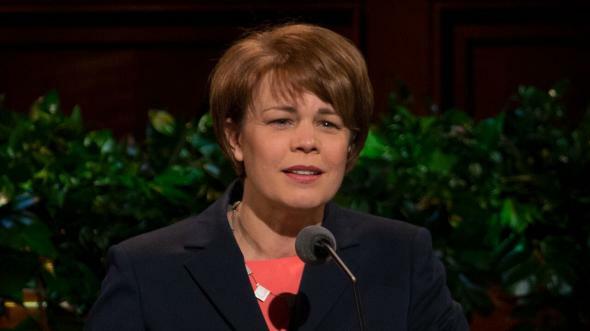 It seems to me that there is a great need to rally the women of the Church to stand with and for the Brethren in stemming the tide of evil that surrounds us and in moving forward the work of our Savior. 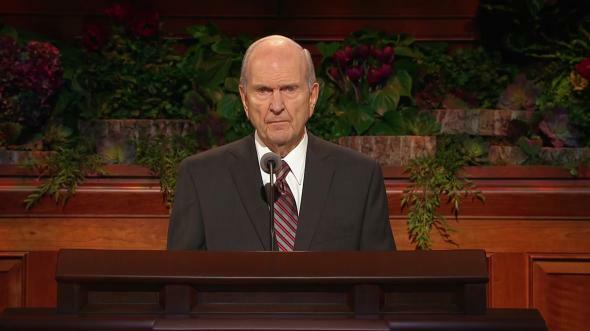 Nephi said, “Ye must press forward with a steadfastness in Christ, having a perfect brightness of hope, and a love of God and of all men, [women, and children].” (2 Ne. 31:20.) Obedient to him we are a majority. But only together can we accomplish the work he has given us to do and be prepared for the day when we shall see him. As we labor with our might to minister to needs in the same caring way that our Lord met those of the women of his day, so we entreat you to minister with your powerful influence for good in strengthening our families, our church, and our communities. We recognize that much good comes from individuals and organizations who reach out to remedy the ills of the world. We encourage you to follow the scriptural admonition to be anxiously engaged or actively involved in good causes in the Church and in your neighborhoods, communities, and even throughout the world. (See D&C 58:27.) Yet we also maintain that without taking Christ into their lives and accepting his gospel, with its saving ordinances and covenants, people will not reach their true potential in this life or in the hereafter. Sisters, continue to seek opportunities for service. Don’t be overly concerned with status. 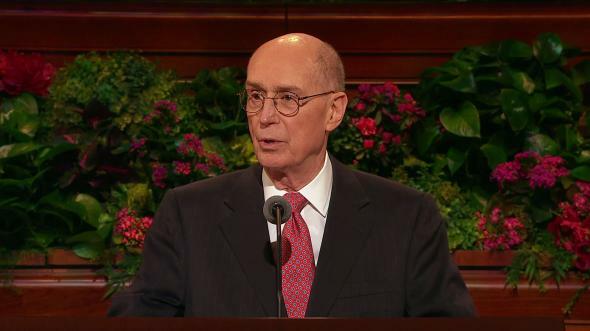 Do you recall the counsel of the Savior regarding those who seek the “chief seats” or the “uppermost rooms”? “He that is greatest among you shall be your servant.” (Matt. 23:6, 11.) It is important to be appreciated. But our focus should be on righteousness, not recognition; on service, not status. The faithful visiting teacher, who quietly goes about her work month after month, is just as important to the work of the Lord as those who occupy what some see as more prominent positions in the Church. Visibility does not equate to value. My beloved sisters, I know that God lives, that Jesus is his Only Begotten Son, the Savior of the world. I know that this is the church of Jesus Christ. He is at its head. 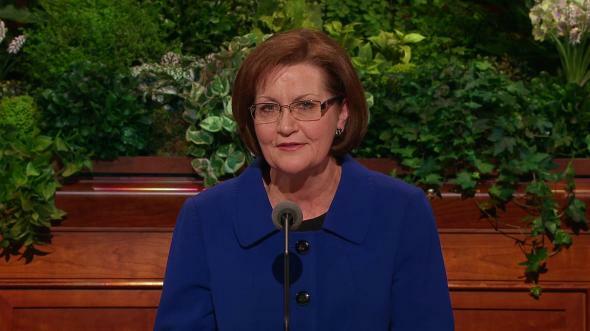 I testify also of the truthfulness and eternal nature of your honored place as women. May the Lord bless you as you continue to serve him by serving others and as you strive to become all that you have the potential to become. In the name of Jesus Christ, amen.